Product information "Die drei ??? 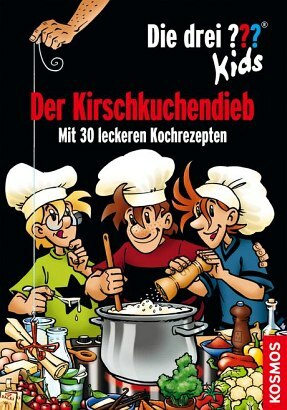 Kids, Der Kirschkuchendieb"
A common thief is after Aunt Mathilda's cherry pie recipe. The incident takes place shortly before Aunt Mathilda's birthday, when Justus, Peter and Bob are planning to cook a surprise birthday dinner. How can they catch the thief in the act without spoiling Aunt Mathilda's birthday party?